Abdul-Rahman Kassig Is an American Taken Hostage by ISIS. He Is Also My Friend. Last week, I saw my friend on a computer screen. He appeared during the final few minutes of the video in which ISIS fighters executed the British aid worker Alan Henning. It was the first time I’ve seen him in more than a year. I’m so frightened it might be the last because they’re threatening to kill him next. I met Abdul-Rahman Kassig two years ago, when he was still known as Peter. It was a chance encounter. Another journalist, whom I had just met, introduced me to him, and that first night we all spent sharing stories and talking about politics. I remember thinking, Wow. This guy is intense. And coming from me, that’s not insignificant. I’m pretty intense, too; it’s been somewhat unavoidable. My father, the journalist Terry Anderson, was kidnapped three months before I was born in 1985 by a Shiite Muslim militant group in Beirut. He was released when I was 7. In spite of this, I decided to become a reporter in Lebanon, a choice some might call unbalanced. That streak of madness in me certainly thrummed in recognition when I met Abdul-Rahman — like recognizes like, I suppose. I understood immediately what brought Abdul-Rahman to Beirut, what took him in and out of Syria, where last fall he was captured by ISIS. As an Army Ranger, Abdul-Rahman was deployed to Iraq in 2007. He had been a part of making war. Now he wanted to be a part of mending it. To this end, he co-founded SERA (Special Emergency Response and Assistance), a non-governmental organization dedicated to providing humanitarian and trauma care to civilians inside Syria and the Turkish and Lebanese camps. This man did what many former soldiers do — he struggled with himself, with what he and his country had done. But then he did something rare. As an individual, he decided to change his legacy in the region from one of violence to one of healing. Abdul-Rahman quickly became a fixture of my time in Beirut. I was introduced to others in his circle of friends, many of whom would become just as close to me. I was often in and out of the country, but every time I arrived, we would all go to lunch or get together at night and talk about our experiences as Westerners working in the Middle East. As a female among a predominately male group, I never felt uncomfortable. I became just another one of the boys to all of them, including Abdul-Rahman. The last time I saw him in person, I hosted a gathering at my house in honor of his decision to leave Beirut and work mostly in Syria and Turkey. As usual, we sat around talking about our work and experiences in the Middle East with the acid humor that characterized many of our exchanges. Once in a while, someone who wasn’t a journalist or aid worker — someone normal, in other words — would wander into the room, hear us talking about body counts and chemical weapons, and beat a hasty retreat. At some point, Abdul-Rahman noticed this trend. I am obviously pretty scared to die but the hardest part is not knowing, wondering, hoping, and wondering if I should even hope at all. I am very sad that all this has happened and for what all of you back home are going through. If I do die, I figure that at least you and I can seek refuge and comfort in knowing that I went out as a result of trying to alleviate suffering and helping those in need. In terms of my faith, I pray every day and I am not angry about my situation in that sense. I am in a dogmatically complicated situation here, but I am at peace with my belief. 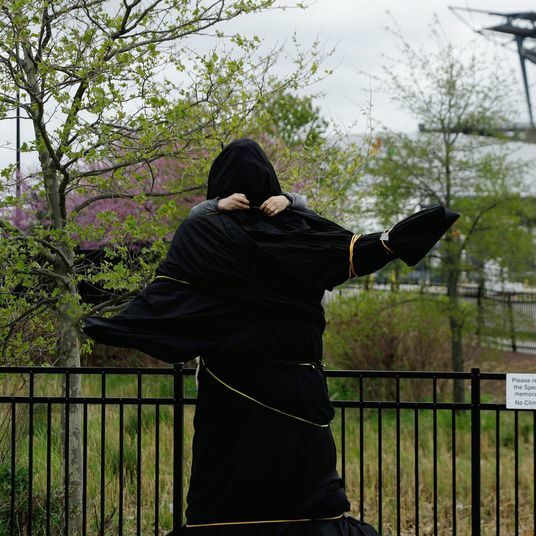 I choose to respect the religion he embraced, no matter what the circumstances, and honor his Muslim name as a representation of his connection to the region and its people, to whom he gave so much of himself through his work with SERA. To those of you who don’t know Abdul-Rahman, the type of sacrifice he has made may seem too huge to grasp, almost alienating, in many ways. What type of person leaves his family and home to help strangers in a strange war, one in which the line between hero and villain has been so irreconcilably blurred? How can any of us relate to someone who puts his life at risk for people he has never met? Who can he possibly be, this martyr of lofty ideals and pure motives? Abdul-Rahman is not without complexities. There has always been a dark, cynical tinge to his political diatribes: disappointment at the way the U.S. has operated in the Middle East, and frustration at watching our policies there disintegrate. He often expressed these views not only during our conversations, but also in his many heartfelt Facebook posts. These are common sentiments among observers of the region, though. Abdul-Rahman has something different, something special. He has hope. He believes we can change how we are viewed by the people he traded his freedom and possibly his life to feed and shelter and stitch back together. He heard the refugees cry, “Where is America?” and he gave them an answer. Not bullets, not bombs. To those he helped, America is Peter Kassig, a kid from Indiana who sat in the filth and rubble with them and put bandages on their wounds, likely cracking jokes while he did so. He is everything that’s right with our country — that drive we have to find, to fix, to help, and to save. On a personal level, the nightmarish irony of this situation has become sickeningly real as I see my dear friend, likely for the last time, the same way I saw my father for the first time: on a video, terrified and alone. Like all of his friends and family, I feel lost and impotent, powerless to affect his fate. All I can do is implore his captors to have mercy on this man, who has done nothing but help those in need, their countrymen and women, who share their faith and even their goals. To the men who hold him, I say: What if your parent or child were wounded by the conflict that is tearing your country apart? Would you not want a person like Abdul-Rahman there to comfort and to heal them? Please do not take him from the world. We need him. I beg them to think of the women, the children, the farmers, the pharmacists, the grocers, and the mechanics — the normal people just trying to exist in impossible circumstances. The people we so often fail to consider in our vengeful wars. Abdul-Rahman never fails to consider them. His consideration for their lives, as it were, brought him where he is right now, where my father was for almost seven years: helpless, afraid, in the hands of other men. To the U.S. government, I ask that before you continue to act in response to these kidnappings and beheadings, please stop to consider what my friend wants for the Middle East: not more death and violence, not more flawed, unsustainable policies, but a long-term vision of our role in the region that prioritizes the lives of ordinary people, like those Abdul-Rahman gave so much of himself to help. Three days before he disappeared, Abdul-Rahman messaged me on Facebook, somewhat out of the blue. I still have the conversation saved. I remember being taken aback. He and I had both always embraced emotion. To feel, we thought, was better than the alternative. Even still, this type of declaration was rare. 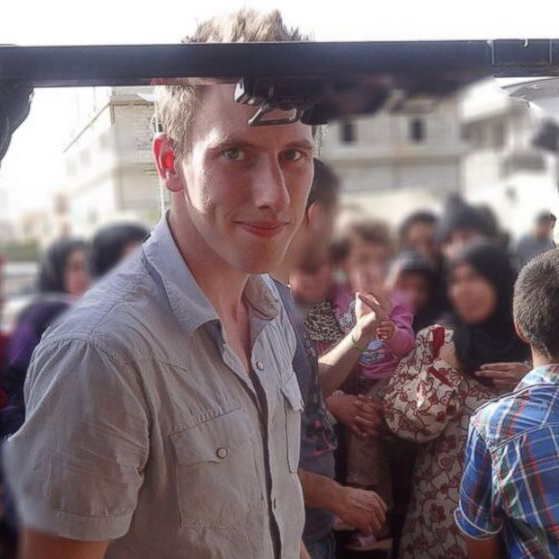 So this is Abdul-Rahman Kassig, formerly known as Peter, ladies and gentlemen. I’m writing this now, before he stops being a person and becomes a violent image on a screen. I’m so happy he’s my friend.